By default, Skype stores a log of all of your text-based conversations. This comes in handy if you ever need to go back and reference a particular chat you've had in the past, but also poses a potential privacy or security risk if you've had discussions you want to ensure stay between you and the other party. If you use Skype often, these archived conversations can also become a form of digital clutter; one which you might want to clean up on occasion. Skype makes it easy to delete your old chat records, but be aware you can't retrieve them once they're gone. Also, don't worry about offending anyone as the person that you chatted with will have no way of knowing you've erased the archived text. To clear an archived Skype conversation in macOS or Windows, follow the instructions below; the steps are identical on both platforms. Deleting a Skype conversation in Windows. Launch the Skype application and log in, if necessary. A list of your previous contacts along with each one's recorded chats should be visible in the left menu pane. Locate the one you wish to delete and right-click it. When the drop-down menu appears, select Delete Conversation. 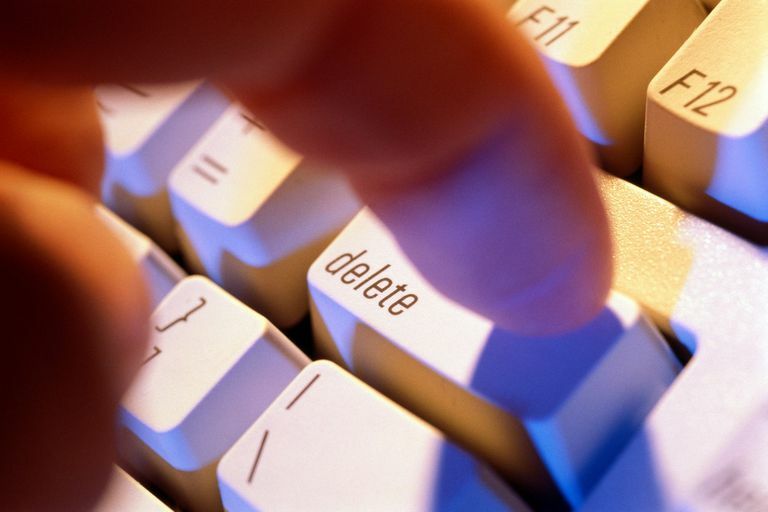 A message will appear asking if you are sure you want to permanently delete this conversation. Select Delete to complete the process. Your archived conversation with the contact in question should now be deleted. Take the steps below to remove a stored Skype conversation on an Android or iOS device. Like the above instructions for macOS and Windows, the steps are identical on Android and iOS devices. Launch the Skype app and log in, if necessary. A list of your contacts along with past conversations should now be visible. If not, tap Chats, located in the lower left-hand corner of your screen. Locate the conversation you wish to delete. Tap and hold this selection until a pop-out menu appears. A message will appear asking if you're sure you want to delete this chat. Tap Delete. Many users opt for the browser-based version of Skype rather than using the app itself. In these instances, archived conversations are not available and therefore cannot be deleted on the web. If you have a Skype conversation that you want to erase, you'll need to download the app specific to your platform and follow the directions above. Skype for Business is significantly different from the consumer version of the messaging service. Unlike Skype for the various platforms above, Skype for Business is often used by corporations and smaller entities to stay in touch and facilitate meetings. However, the process of deleting saved conversations is very similar. Launch the Skype for Business app, logging in if necessary. Select the Conversations tab, represented by a clock icon and located in the middle of the Skype toolbar. A list of your previous conversations should now be displayed. Select the one you wish to delete so that it becomes highlighted. It should be noted that some business configurations also store Skype conversations in Microsoft Outlook, within the Conversation History folder. You can remove conversation logs from here as well, just as you would delete an email. A list of archived conversations should be shown in the Recent section. Locate the chat you wish to erase, then tap and hold your finger on it so it's highlighted. Swipe left to reveal the Delete button, represented as a trash can icon. Tap Delete to remove this conversation from your Skype for Business archive.